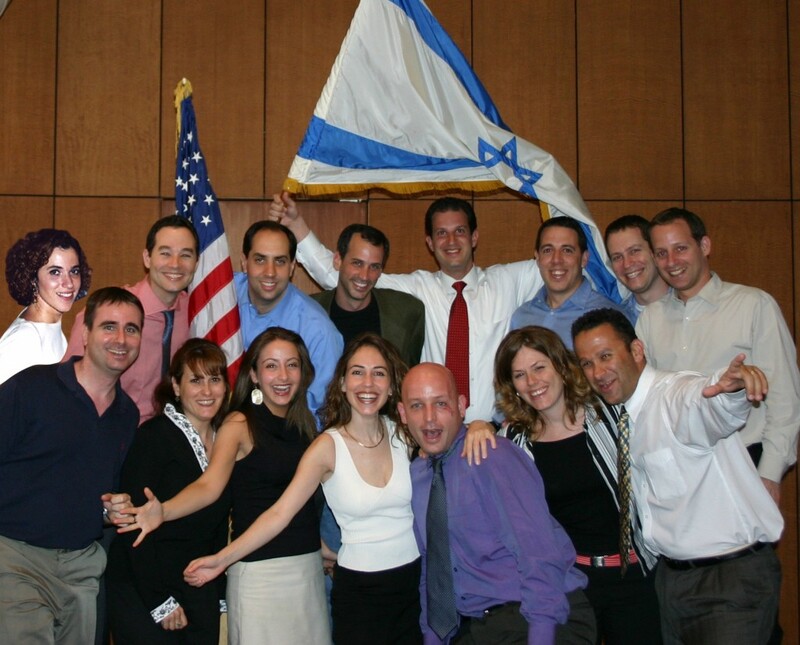 In the summer of 2003, a group of 10 Israelis living in America and 10 native born American Jews gathered to discuss their evolving identity, their cultural gaps and their shared love of Israel. What emerged was the creation of Dor Chadash, the bridge between Israeli and American Jews. The group decided to test out their hypothesis that their individual needs were in fact representative of a larger group, what we referred to at the time as Hybrids; People in the 25-45 age bracket, somewhere along the spectrum of Israeli/American identity, with “Hebrish” as a common language (Haaretz). Hybrids included children of secular Israeli expats who had limited affiliation or engagement with organized Jewish communal life, American Jews who spent quality time in Israel but ultimately chose to live in the USA and of course, Israelis who came for a few years to study or work for a multi-national but ended up staying and perhaps also having children in the USA. What these Hybrids shared was a love for Israel, even if they had no immediate plans to move there, and the promise of serving as natural bridge builders between Israeli and American Jews. Of this original group of 20 people, 15 remained to become the founding members of Dor Chadash. We invited mutual friends to a Mangal/BBQ (Schwarma and Hot Dogs, to take the concept to extreme), not sure if anyone would show up. And so, on a cool autumn evening in early October, over 200 people gathered on a rooftop at the Bnai Zion house (with the gracious and warm support of Mel Parness Z”L) to dine and pin their preferences on a life-size identity map hung on a wall whose ultimate question was to determine where the participants fell on the spectrum: whether they regarded themselves as American-Israeli or Israeli-American? 80% were the latter. The movement that arose from these personal and intimate discussions would transform New York community life and ultimately influence the national dialogue, with the recognition and creation of a new and profound identity category in American Jewry – the Israeli Americans. Our conclusion was that there was a need for authentic Israeli cultural experiences and a meaningful way for these Israeli Americans / Hybrids to connect to Israel. What started on a rooftop as an idea for a Dor Chadash (lit. New Generation) would grow to an organization with over 20,000 people, hundreds of volunteers, close to 50 events per year and a model for engaging young professional Hybrids, ages 25-45 (Haaretz). In short order, the Jewish calendar became filled with Israeli themed holiday parties and gatherings. The social activity expanded to high end cultural events, exposing the best of contemporary Israeli culture and life to the NY scene. From artist talks by Ohad Naharin, Michal Rovner, Adi Ness and Dorit Rabinyan to premiering Israeli films like Breaking Wings and Walk on Water to stimulating educational discussions with politicians and journalists from across the political spectrum, like Moshe Bogie Ya’alon, Ami Ayalon, Uzi Dayan, Alan Dershowitz, Ehud Yaari and countless others and bridging cultural barriers through Dinner with Friends. 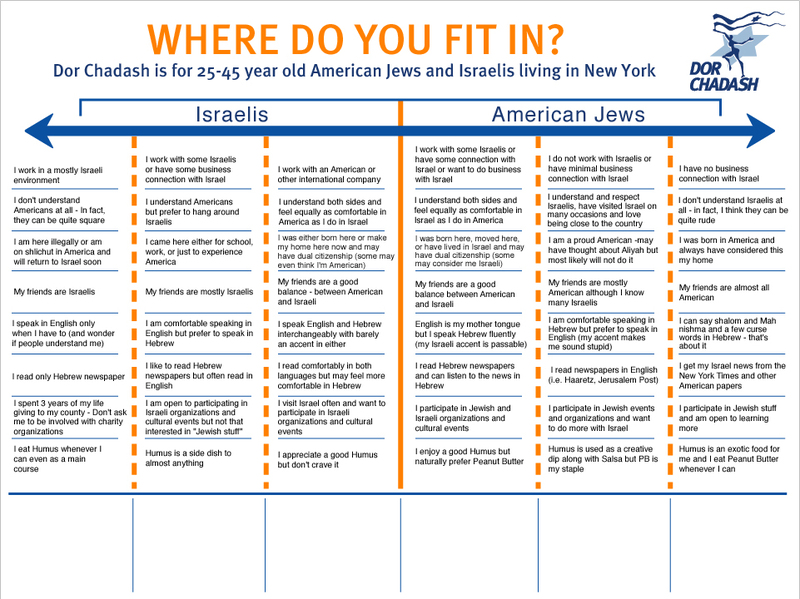 Dor Chadash became the gateway to addressing young Israeli Americans in New York, with the Consulate and Embassy of Israel suggesting influential Israeli visitors to meet the Dor Chadash members, including Prime Minister, Benjamin Netanyahu. Beyond the range of events, Dor Chadash moved masses of people from passive to an active role in organized Jewish communal life, in most cases for the first time. Shabbat dinners were organized, rallies in favor of Israel were mobilized, delegations to Poland were promoted and a large contingent of young Israeli Americans marched in the Salute to Israel Parade for the first time. It was not a top-down approach but arose from the bottom-up. The vast majority of events were conceived, planned and executed by a corps of passionate volunteers. The spirit of Dor Chadash was the creation of a community; A home away from our homeland where one could feel equally comfortable eating Peanut Butter or Hummus with like-minded people who all spoke Hebrish. And as the core Dor Chadash audience evolved and some married and started families, there arose a need for children’s programming. So we launched “Israeliness” (Jerusalem Post) in partnership with the 92nd St Y, to create and sustain Israeli and Jewish identity for families raising children outside of Israel. A partnership was formed with the local Tzofim (scouts) chapter to create a continuum of engagement for the children after graduating from the Israeliness program. To date, the program continues to run at the 92nd St Y, and we still own the Israeliness.org domain. Other Jewish organizations took note and began exploring Israeli programming. Dor Chadash’s proven model of engagement created an evolutionary shift for traditional Jewish organizations to recognize and reach out to this often neglected community demographic in their midst. These Israeli Americans were no longer “Nefolet shel Nemoshot” (societal rejects, as PM Yitzchak Rabin Z”L once referred to those who left Israel), but rather potential active members of the community and philanthropists, with our proven ability to engage these leaders from the emergent NY tech and startup scene. As Dor Chadash looked to expand its model to other cities in America, we were approached by the Israeli Leadership Council (ILC), a relatively new organization and the forerunner to the present Israeli American Council (IAC). The entrepreneurs behind the ILC had observed the development of Dor Chadash and shared their desire to build a large scale national organization and to elevate Israeli-American issues onto the national stage. They wanted to bring Dor Chadash to young professionals in Los Angeles and we gladly shared the DNA of what fueled the organizations exponential growth (The Jewish Week). 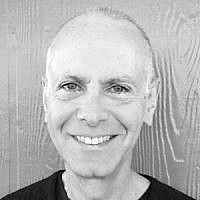 In a unique twist of faith, the IAC, after an infusion of significant financial support, approached Dor Chadash and merged the organization’s activities in 2014 underneath the IAC’s expanding umbrella of programming. It was a natural evolution for Dor Chadash (now IAC Dor Chadash), celebrating its 11th anniversary at the time. The IAC has since deepened and expanded the pioneering spirit that Dor Chadash created and has elevated the Israeli American community to an influential and impressive national scale. In a few days, Dor Chadash will celebrate its bar mitzvah, its 13th anniversary. 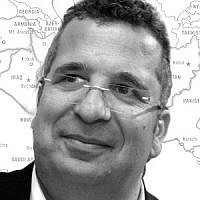 As the Israeli American identity matures and establishes itself on the map of Jewish communal life, its symbiotic relationship with the state of Israel becomes even more important. What seems like an obvious demographic group today was not so evident 13 years ago. In 2016, the relevance of an Israeli-American community is undeniable and is stronger than ever. As more and more Israelis are choosing to live in the USA, we must continue to seek creative ways to engage them as active supporters of Israel. It is not a coincidence that most of the founding members of Dor Chadash have since returned to Israel. While it was never an explicitly stated agenda of Dor Chadash, the authentic tone and deep connection to Israel created a nostalgia for our homeland. Today, the IAC offers an important home and outlet for this group. As Israeli-Americans or Hybrids gather from across America this weekend for the 3rd annual conference of the IAC in Washington DC, we wish them much luck and success and send mazal tov to Dor Chadash on its bar mitzvah. David Borowich-Yaari and Tzameret Fuerst are the first two respective Chairs of Dor Chadash and Founding Members of the organization. 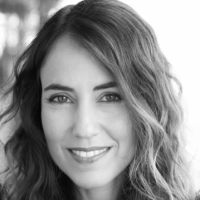 Tzameret Fuerst is an Israeli American serial social entrepreneur and global public speaker about leadership, innovation, entrepreneurship and intrapreneuship. She is the Co-Founder of Circ MedTech, developers of PrePex, an FDA cleared medical device for HIV prevention in Africa, currently being massively implemented in the region.